Cab-hailing app Uber has been on the market for almost two years now since they first launched in Malaysia on January 2014. However, these past few months have been difficult for them, as they have been facing numbers of challenges due to the conflicts with local taxi systems. Despite the hoo-ha with SPAD, Uber is still the preference for riders who appreciate safety and comfort. The ride-sharing service has won the hearts of riders in Malaysia. For instance, to show their support towards Uber, a couple of weeks ago, a fan group on Facebook called Uber Supporter Malaysia started an online petition to save the service in Malaysia. 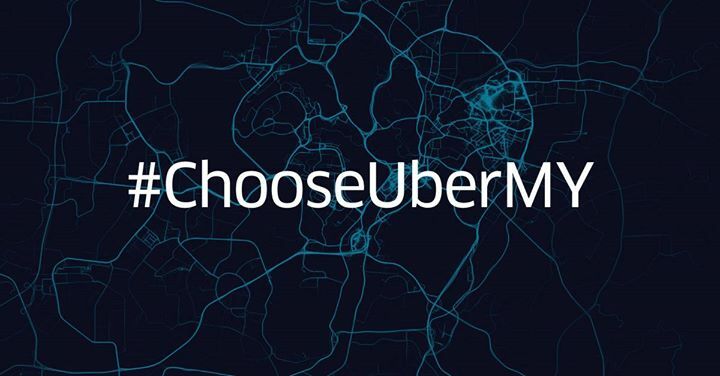 To rally more support, Uber has released a #ChooseUberMY campaign. Basically the campaign is about sharing your thoughts and reasons on why you choose Uber services. Here are the three steps to get involved. 1. Request for an Uber as normal. 3. You will receive 1 Free Ride credited into your Uber account! These selected special Ubers will have devices to capture your #ChooseUberMY story on video. If you didn’t get one of the special Ubers, you are still able to share your story on your social media platforms such as Facebook and Instagram. All you need to do is upload a short 15-second video on why you #ChooseUberMY and they will pick the best videos to be featured on Uber’s social media pages. A quick search on Twitter, you will be able to see that the hashtag has already existed last year. At the end of the day, without the support from its riders and drivers, the company will not last until today. And as Uber Malaysia puts it, “and now, it’s more important than ever”.